Paolo (Homepage) wrote: onirico. sono affascinato dalla distorsione visuale. è frutto solo delle ottiche o c'è lavoro in pp? photos (Homepage) wrote: Really incredible, looks like an infrared shot. Arjan - PlasticDaisy (Homepage) wrote: That snow looks crispy! Icy cold feeling in this image. Sophie Asselin (Homepage) wrote: Wow ! Good exposition. The light is perfect. Nice winter scene ! joshi daniel (Homepage) wrote: looks like a path to heaven! Andrés (Homepage) wrote: A very well framed image. Great light and colors. Mike Blanchard (Homepage) wrote: Wow, that looks cold. A wonderful job of capturing the cold and untouched look of this place. Pristine is the word that comes to mind. Very nice. Giò (Homepage) wrote: I tuoi paesaggi innevati sono sempre magici!!! Robert Kruh (Homepage) wrote: Beautiful winter sunny day Paolo, lovely done! Celanova (Homepage) wrote: Preciosa foto, me gusta mucho los distintos matices del blanco y la textura de la nieve. Feliz año. Tom (Homepage) wrote: Nice, I love the mood of the shot. F. (Homepage) wrote: Wonderful untouched winter space. 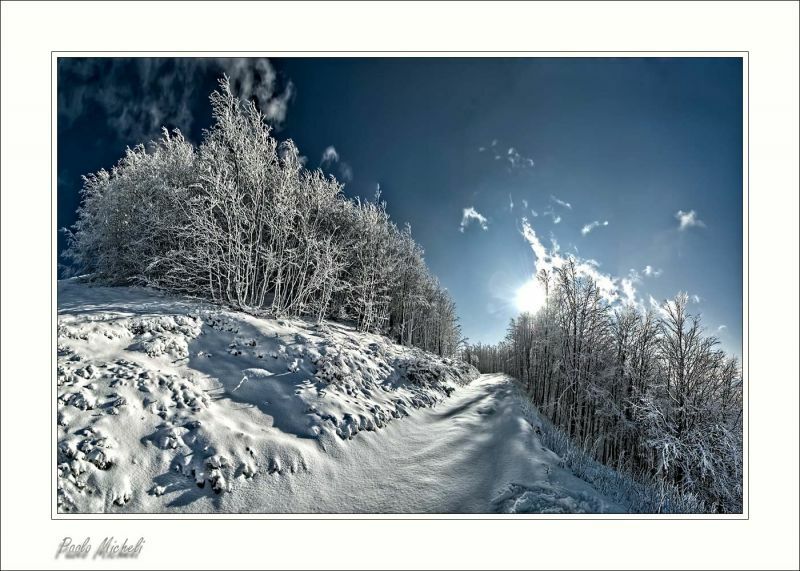 Marcie (Homepage) wrote: Stunning icey cold landscape. WOW! Polydactyle (Homepage) wrote: Great work on this one. Excellent white balance. Arnd (Homepage) wrote: Your capture/processing of this enchanted winter scene is a marvel. Congratulations to this masterpiece! Yvonne (Homepage) wrote: Excellent composition, the path leading into the picture draws the eye in. Sun makes the snow/frost on the trees stand out. Lovely!